The route of the Kal-Haven originally was a railroad competed in 1870, the railroad bed has been converted to a trail with a limestone/slag surface. It is usable for all non-motorized bicycles, hiking, and snowmobiling when there is a 4-inch snow base. 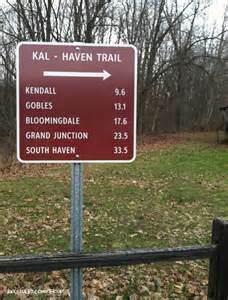 In 2004 Van Buren County obtained a use permit to operate and maintain The Kal-Haven Trail Sesquicentennial State Park. 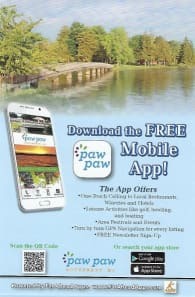 Van Buren County continues to operate the trail under this permit. Click HERE for more information and map.